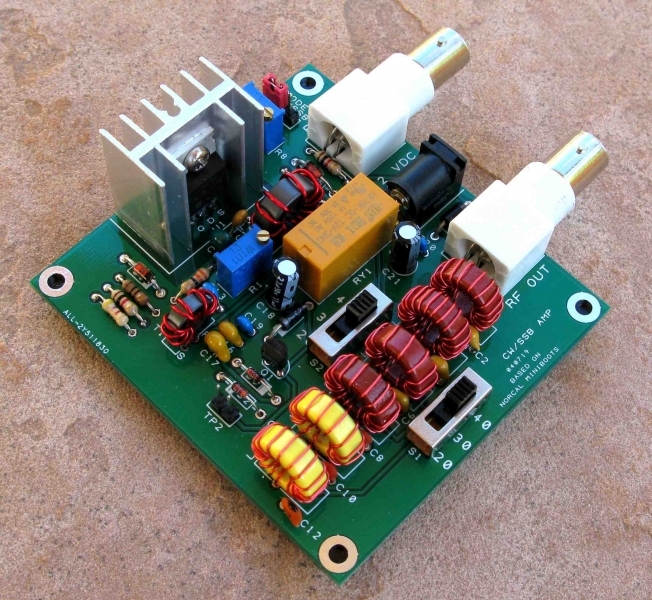 The files below are the instructions for building a 1-10 W CW/SSB amplifier capable of raising the output from a 1 watt transceiver to 10 watts. It is based on the Norcal Miniboots design and contains a RF sensing T/R switch, multi-band switching and biasing circuit for SSB linear operation. It is offered here to be a companion to our 1 watt FT8 transceiver. The Gerber files are offered here so you can source your own boards.